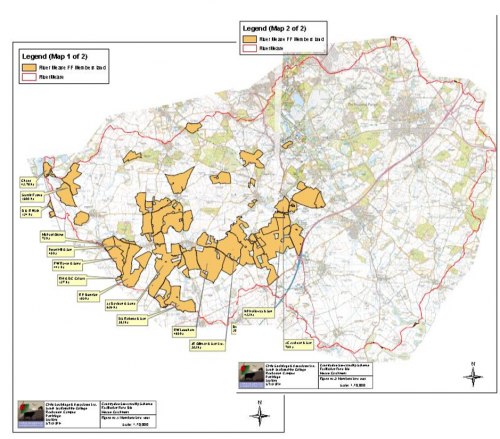 The River Mease Catchment crosses the following CS statements of priority: Mease and Sences (NCA 072); Leicestershire and South Derbyshire Coalfields (NCA071); and the Leicestershire Vales (NCA094). We will predominantly focus on top priorities relevant to the River Mease Catchment. Biodiversity: Options to restore or maintain SSSIs, particularly targeting the River Mease. Riparian habitat, grassland options and arable field margin creation to extend or link priority habitat to increase connectivity and reduce fragmentation. The WPFWP would be promoted as a valuable component on arable, mixed and pastoral farms. Promoting attention to detail with the habitat management would benefit the priority species. Water: Targeted land management options and capital works to improve water quality. CSF priority area options and capital works to help control the source or the movement of potential pollutants including nutrients, sediment and pesticides. Resource protection training will help maximise the available opportunities from the CS options and capital works. Historical environment: To consider the HEFER when preparing applications and feasibly follow option and management guidance. Utilising options and capital works to protect and preserve the historical heritage. Woodland: Prepare woodland management plans to identify management works to meet agreed objectives. Strategically undertake woodland planting to achieve biodiversity, water quality or flood risk objectives. Landscape: The landscape features would be considered when drawing up applications. Preserving and managing a mosaic of priority landscape features to maintain the local landscape. Multiple environmental benefits: The overall aim will be to secure balanced agreements that achieve multiple environmental benefits.